Best thing you read this summer? Before the meandering days of summer entirely give way to the classwork, paper-writing, and grading of fall, let’s discuss: what was the best thing you read this summer—and why? I—Molly Hiro—got through several great contemporary novels, but my favorite was Jennifer Egan’s A Visit from the Goon Squad. 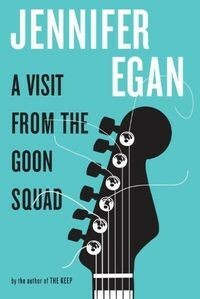 Egan’s 2011 Pulitzer-winning work is ostensibly about the 1980s rock scene, but even for someone, like me, not terribly interested in that terrain, it’s a great read. She’s a terrific observer of human interactions, and a creator of flawed but magnetic characters. I loved most a late chapter from the perspective of an adolescent and set in the near future, written entirely in Powerpoint-like “slides” (admittedly, at least one of my English faculty colleagues didn’t like this part at all!). 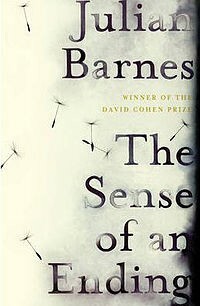 I (Cara Hersh) was super excited to read Julian Barnes’ The Sense of an Ending since he wrote one of my all-time favorite novels, Flaubert’s Parrot (which I also highly recommend—especially to any of you who liked Madame Bovary). The Sense of an Ending won the Man Booker prize last year and I can see why—this novella has an intriguing plot, which centers around a middle aged man who discovers that his deceased best friend’s girlfriend’s mother (did you get that?) has inexplicably willed him his friend’s diary years after the friend’s death. In addition to a compelling plot, with a nice twist at the end, this short book is a thoughtful rumination on time, history, humans’ capacity to remember, and growing older. 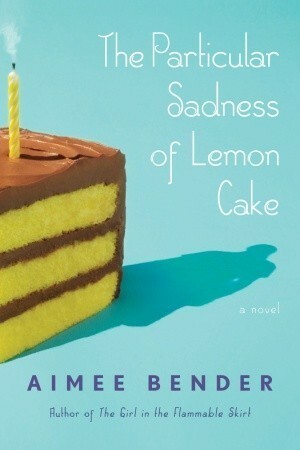 I—Leah Becker—was completely taken in by Aimee Bender’s The Particular Sadness of Lemon Cake this summer. The novel is about a young girl who, on her ninth birthday, realizes that she can taste her mother’s emotions in the birthday cake that her mother bakes her. What she eats does NOT taste good. As Rose grows up and tries to cope with this cursed “gift” she finds that not much is what it seems and perhaps she is not the only one in her family with peculiar talents. I enjoyed this book because it was the first work of Surrealist Fiction that I had ever encountered and turned out to be unlike anything I had read before! Just image one of Salvador Dali’s surrealist paintings splattered across the pages of a book and you’ll get the idea! How about you? Share your own favorites in the comments and help us all keep our “must-read” lists well-stocked! I read a lot this summer; two books in particular kept me occupied: Too High Too Die: Meet the Meat Puppets an (an oral history for fans of the 1980’s underground music scene) and Dave Eggers, A Holgram for the King (his newest, set in Saudi Arabia). I highly recommend the newest by Eggers. I am the colleague who got bored with the powerpoint section in Jennifer Egan’s, A Visit from the Goon Squad. One of my favorite summer books was Elisabeth Bailey’s gorgeously quiet _The Sound of a Wild Snail Eating_. The book is nonfiction and recounts Bailey’s relationship with a tiny snail, formed over a period of extended illness during which Bailey was bedridden, able only to look around her and at the plant at her bedside that hosted the snail. Her sense of time and space is deeply inflected by her growing sense of the snail’s world, and this eases the period of her confinement. The book captures the gift nonhuman others offer us: a different way of inhabiting the world. Edward O. Wilson’s The Social Conquest of Earth. Here, the famous zoologist of ants tries to answer the Great Questions of where we’re from, who we are, and where we’re going, using the scientific aggregate to retell a sweeping account of biological existence. His use of the guiding theory of group selection (as opposed to kin selection) for the account makes a lot of sense as humans rapidly become the species of Facebook. And Patrick DeWitt’s The Sisters Brothers. A tragicomic road-trip (by horse) of two gold-rush gunslingers plying their trade between Oregon City and San Francisco. The novel uses the historical and ethical distance between us and them to offer a meditation on the mysteries of fraternity, the development of self-awareness of our actions, and how we decide to respond to the pull of our competing hungers. Okay, so here’s the skimmy. In my rush of enthusiasm to return to literature-oriented classes this year after my studies abroad experience, I read three classic novels: To Kill A Mockingbird; The Agony and the Ecstasy; 1984. The winner out of those three has to be 1984. To a die-hard introvert like myself, having to fathom the lifestyle of constant surveillance would–for lack of a more appropriate phrase–drive me bonkers! But that’s just analyzing the surface of this novel. It also enlightens its audience to the possibilities of its government: do we favor institution? Do we know when it’s overstepped it’s boundaries? Could our society possibly dissolve in to this regulated misery? Considering the U.S.’s upcoming elections and both ours and Europe’s economic slump, are we susceptible to this delusional autocracy?…Perhaps you (the reader) think not, that this story by George Orwell is rather the flirtation with a fantastical idea of government. But really, what if?… Oh man, what a beach read!